Zimbabwe Achievers Awards South Africa (ZAA SA) have announced the nominees for the 5th Zororo Phumulani ZAA SA on their website and social media platforms during a live broadcast from South Africa. The cash can be sent in real time using the WorldRemit mobile app and users can activate a tracking function to follow their transaction. 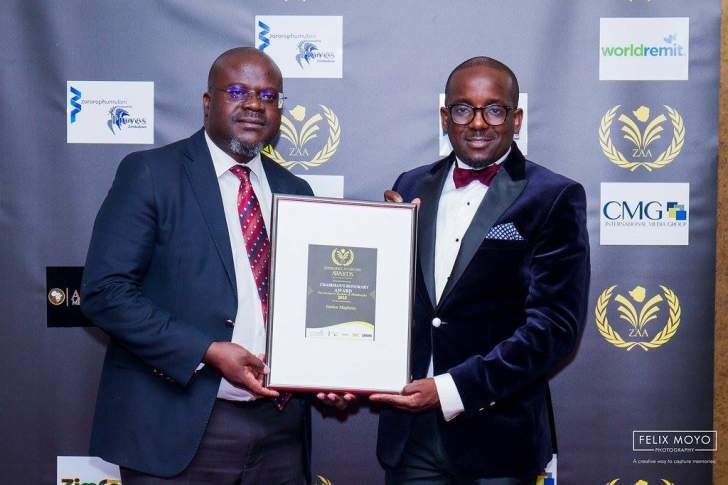 ZimAchievers founder and Chairman Conrad Mwanza hailed the partnership with WorldRemit and Zororo Phumulani and extended his congratulations to the nominees and gratitude to everyone who lends supports in the quest to celebrate one another. "The 5th edition of Zimachievers South Africa is going to be bigger and better than past editions and we are overwhelmed and humbled by the number of nominations that have been pouring in, Everyone who does something to better the community and raise the country's flag high is a winner and we take great pleasure in honouring them. We also want to thank our various partners who make this a success and the continued support from all stakeholders and we look forward to seeing you all on the 6th of April in Sandton," he said. Zororo Phumulani funeral plan services are the headline sponsors for the South African edition after sealing a 3 year sponsorship deal with ZAA. The funeral services firm also offers financial services and has a low cost funeral scheme and offers a body repatriation service for those deceased in South Africa. The awards are in their 5th year of running in South Africa and have a presence in five countries including UK, USA, Australia, South Africa and Canada which was introduced this year. Voting for the nominees commences on 20th February and will run until 28th March 2019 with the much anticipated awards night taking place at the Hilton Hotel in Sandton on Saturday 6th April. Tickets can be purchased online on www.zimachievers.com/sa going for R750 before the 28th of March. The awards gala sees many people of diverse backgrounds attend and last year's event saw Dr Oliver Mtukudzi bestowed with an honorary patronage and Lifetime Achievement Award. The event was also graced by the Minister of Tourism, Honorable Priscilla Mupfumira, Kwese CEO Joseph Hunda, Steward Bank CEO Lance Mambondiani and South Africa's Chairperson of the National Council of Provinces Thandi Modise among other distinguished guests.